One of my favourite food moments in India happened in Kerala. After arriving in Cochin, I struck up a conversation with a Scottish gal who was looking for a restaurant recommended by her Indian host family. Naturally, I offered my assistance and invited myself to dinner. I felt it was a fair trade. Since Kerala is known for its fresh coastal fare, everything we ordered was inspired by the sea. Chatting, eating and even recruiting a solo diner to join us, we spent the entire evening elbow-deep in sumptuous and tropical Indian cuisine. That was the day I discovered Chemmeen Moilee. 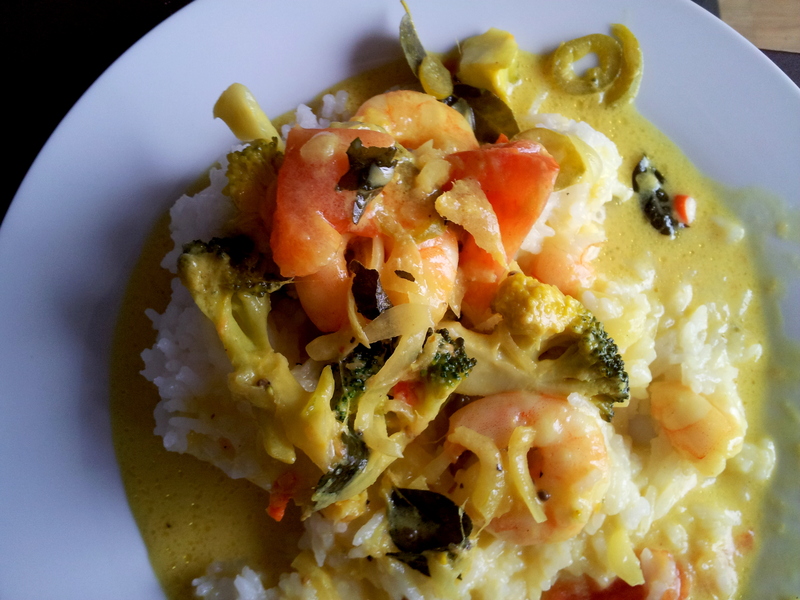 A moilee is simply a fish or seafood based coconut curry. And we ordered a prawn, or chemmeen, variety. The gentle currents of flavour were filled with soft Indian spice. 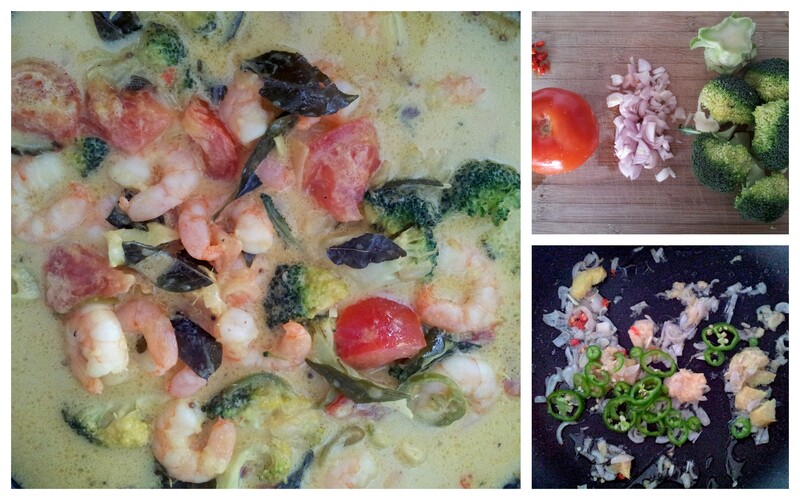 Hints of turmeric and chilli were relaxed by the sweetness of shellfish and creamy coconut milk. I didn’t want to interrupt the moment with a photograph, so I scanned the menu for the exact name of the dish. Back in London, I scanned food blogs and cooking sites trying to find the recipe. Thanks to the Indian Food Freak and a few of my own additions, I recreated this magnificent dish. Serve over rice or any Indian bread. Now, I can get elbow-deep in food and recreate this meal whenever I reminisce about Kerala or wonder about that girl from Inverness. I also realised that this meal meets all the requirements for an Easter weekend supper.